By working together, we can help to ensure a safe and secure environment. BGSU’s Department of Public Safety is comprised of the BGSU Police Department, Emergency Management, Parking Services and Shuttle Services. The BGSU Police Department, located in 100 College Park Office Building, provides the campus with 24-hour police protection by a fully certified staff of police officers, detectives, and dispatchers. The police department is staffed by 24 full-time, sworn State of Ohio Peace Officers commissioned by the Ohio Peace Officer Training Commission. All BGSU police officers have full police authority to enforce state laws, local ordinances and University policies. The Emergency Management coordinator focuses on the University’s readiness for emergencies. This requires coordinating and integrating all activities necessary to build, sustain and improve the University’s capability to mitigate against, prepare for, respond to and recover from man-made or natural hazards and to cope with disasters. Parking Services, located at 1 College Park Office Building, manages and coordinates all of BGSU’s employee, student and guest parking needs. The office strives to reduce parking congestion and improve pedestrian safety through the sale of permits, enforcement of parking regulations and coordination with the campus shuttle system. Shuttle Services operates during the academic year and serves BGSU students. The shuttle routes encompass the Bowling Green campus and parts of the surrounding community. 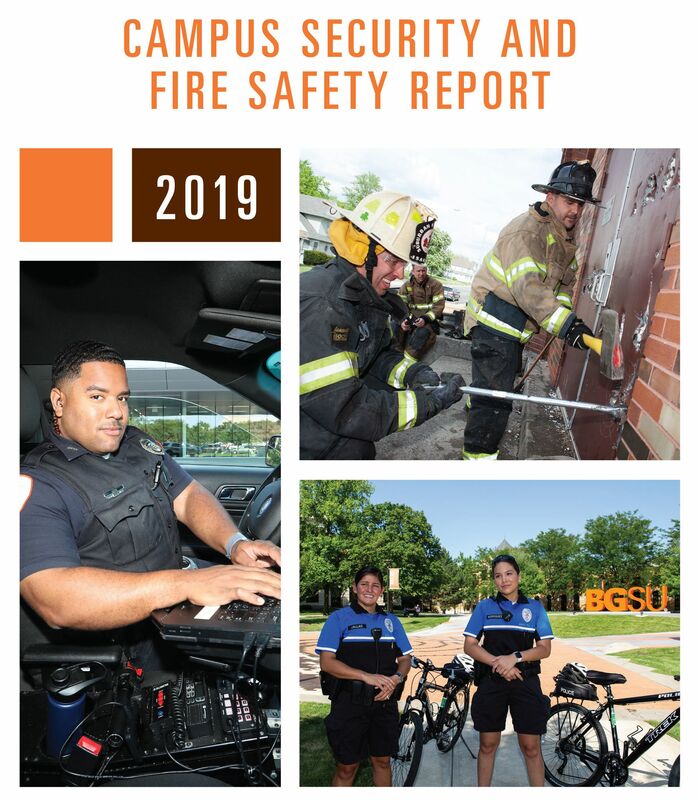 Bowling Green State University's Campus Security and Fire Safety Report is an annual report that includes crime statistics and prevention information to assist students in making decisions which affect their personal safety and that are required by the Jeanne Clery Disclosure of Campus Security Policy and Campus Crime Statistics Act. This report also includes fire safety and policy information for BGSU’s residence halls as required by the Higher Education Opportunity Act of 2008. The most recent annual report can be accessed by clicking on the cover page below. A copy of the report can also be obtained by contacting the BGSU Police Department at (419) 372-2346.